When it comes to choosing ‘Australiana’ gifts (and it happens frequently when you have friends living overseas) I thought I’d exhausted all sources of cool, modern, kangaroo-motif doodads. 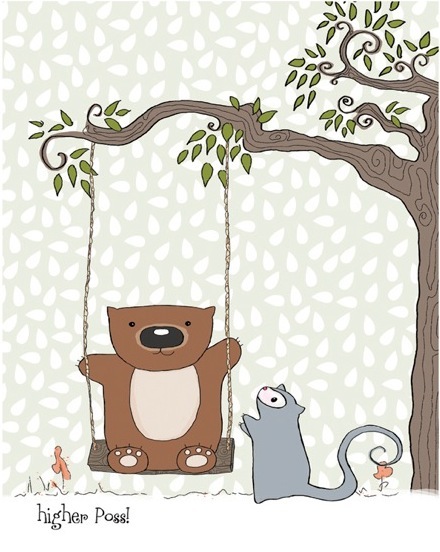 Thankfully, Poss & Wom has just arrived and will redefine Aussie decor for your little tacker. 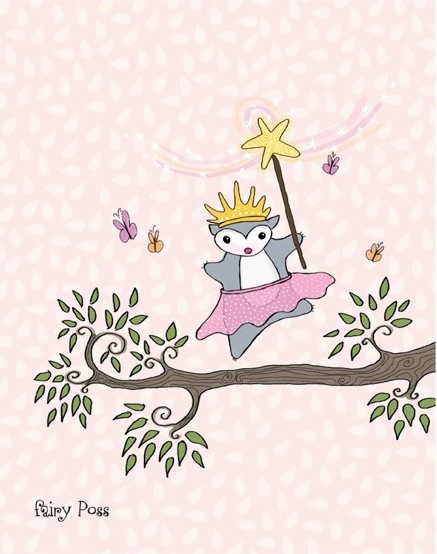 There are plenty of owls, deer, squirrels and bears available for nursery walls but if you want something more in keeping with the gumtrees and wattles in your backyard, become acquainted with the very sweet Poss & Wom. 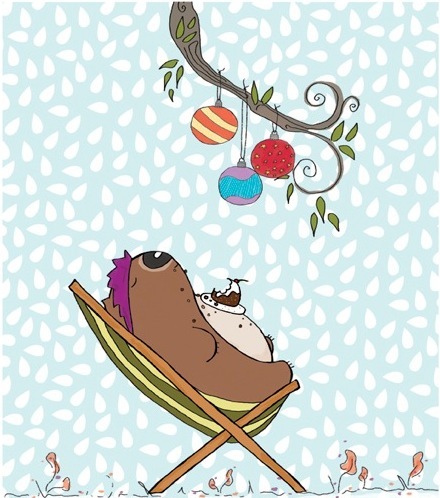 Featuring superb prints and stationery, Poss & Wom is fresh, modern and playful – there’s Wom giving Poss a boost to a high branch, Poss dressed as a fairy and my favourite, Wom having his ‘Christmas arvo snooze’ in a deckchair with pudding balancing on his ample tummy! Choose from full size prints, mini-prints and a fabulous range of cards, invitations and gift tags, including a stunning Christmas range. Poss & Wom prints are $24 each and are available through Etsy and Made It.